The following are recaps, courtesy of UTMB, of the three races at this year’s Gaoligong by UTMB. 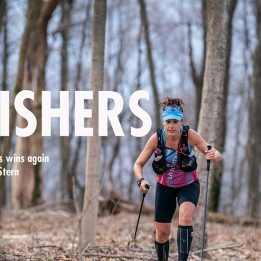 For Trail Runner’s original post-race write up, click here. The race promised a battle between the top Chinese and Western runners, and it delivered. 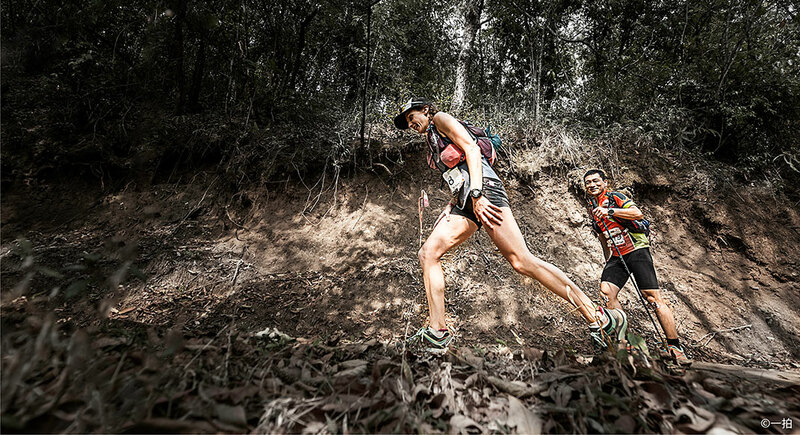 In the shortest, 55km THT (Tea and Horse Trail) division, China’s Li Yungui defeated USA’s Jason Schlarb, the winner of some of the world’s top ultra-events, and 4th place finisher at UTMB®. “At the end, I saw that the American was nowhere near, so I slowed down to a comfortable pace” said Li, tongue-in-cheek, commenting on his winning time of 5 hours 4 minutes and 45 seconds. Schlarb was more than 18 minutes behind. Another Chinese runner, Nuerkalide Aman, finished third, just over a minute behind the American. 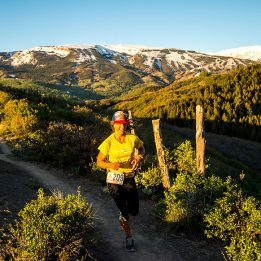 THT also served up perhaps the best performance of the event – 19-year-old Nepali mountain-running pro, Sunmaya Budha, destroyed the field, coming in sixth overall, in 5 hours 44 minutes and 49 seconds, one hour and twenty minutes ahead of the second-placed elite runner Meredith Edwards (USA) and China’s Fan Changpin. Truly remarkably, Sunmaya, who trains full-time at altitude in the foothills of the Himalaya, was also ahead of several elite male runners. 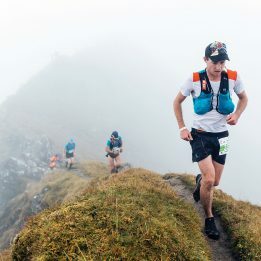 Two young runners of the Columbia team – Ruy Ueda from Japan and China’s Shen Jiasheng, went full out, but the Chinese ultra pro who lives and trains at altitude in Yunnan Province, pulled away from his Japanese rival in the second part of the race and came out a winner by over an hour in 13 hours 36 minutes. Spain’s Daniel Perez Fernandez was third, almost two-and-a-half hours behind Shen. The main distance was billed as the showdown between Qi Min of China and Lithuanian UTWT champion Gediminas Grinius, but the high attrition rate amongst elite athletes put Qi out of action early—he retired before the 70km mark for medical reasons, while in the lead. Gediminas subsequently won in 19:58:46. Other elites also suffered—UK’s Daniel Lawson, last year’s winner, was only able to finish 5th, and Michael Wardian of the USA, former world silver medalist at 100km road, pulled out with digestion issues. Two Chinese, a local hero Luo Canhua and Qin Yanzhong, took second and third respectively, behind the highly experienced Gediminas, who, after the race, said that Gaoligong By UTMB® felt harder than UTMB®Mont-Blanc! In the female division, American double UTMB® champion Krissy Moehl (27:19:38) beat Japan’s last year’s UTMB® 4th place finisher Kaori Niwa (29:26:49), with China’s Gu Haiyanin third (31:21:27).